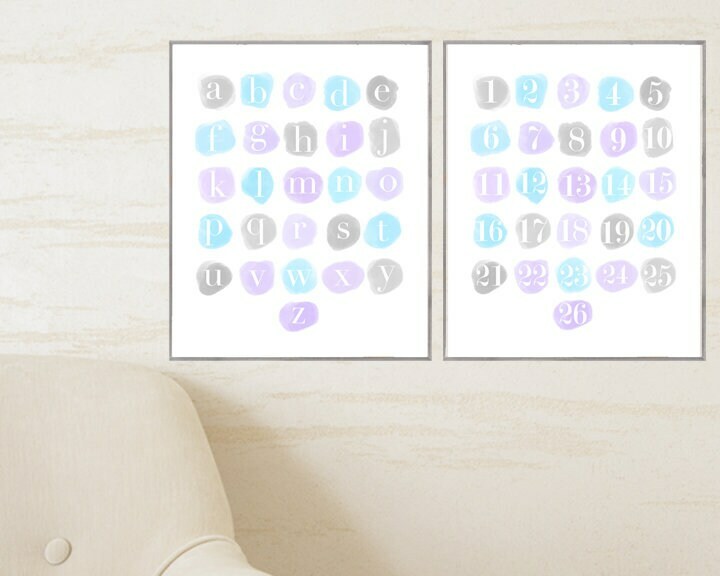 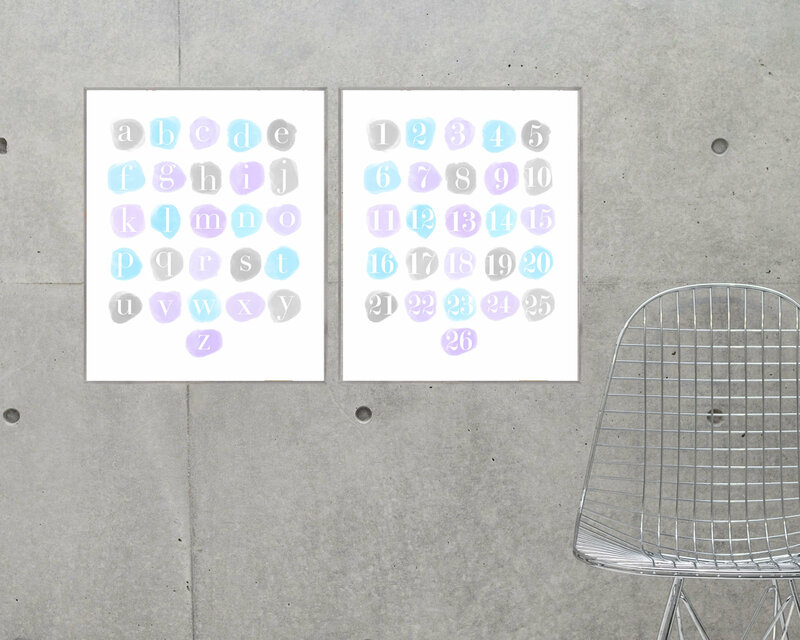 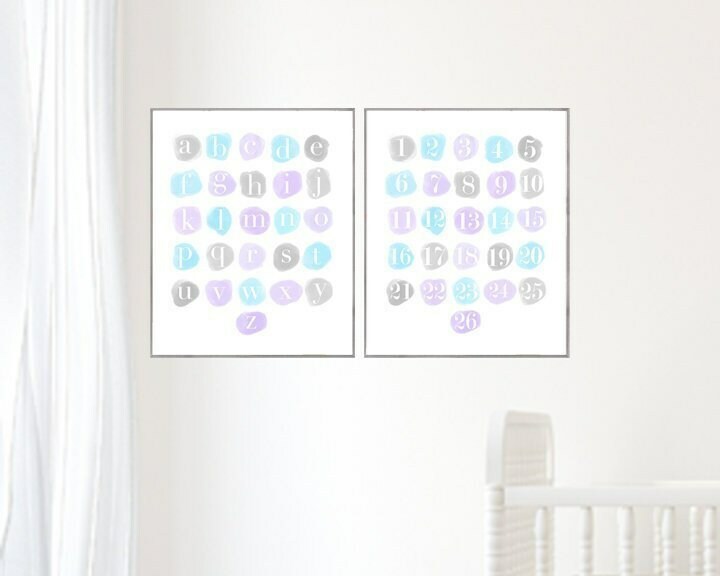 I created this large alphabet and numbers print set with a fanciful kids space in mind. 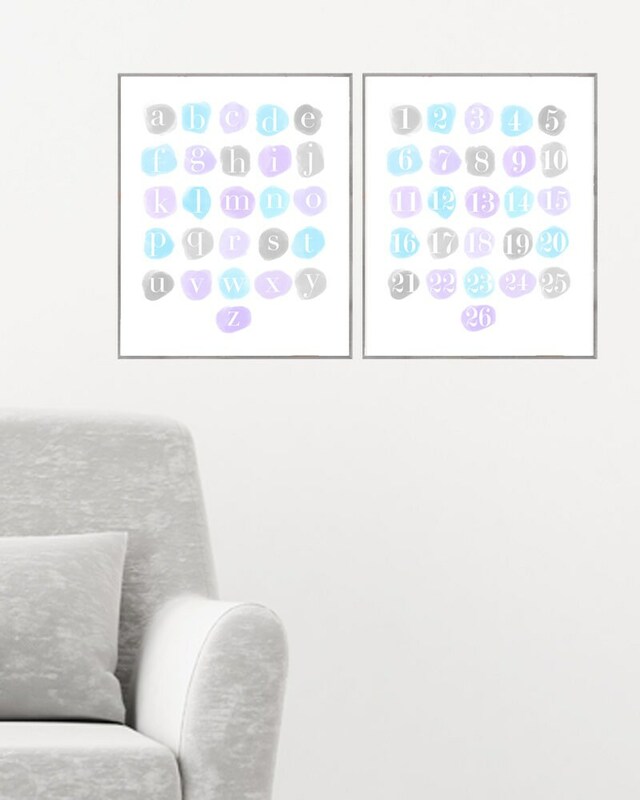 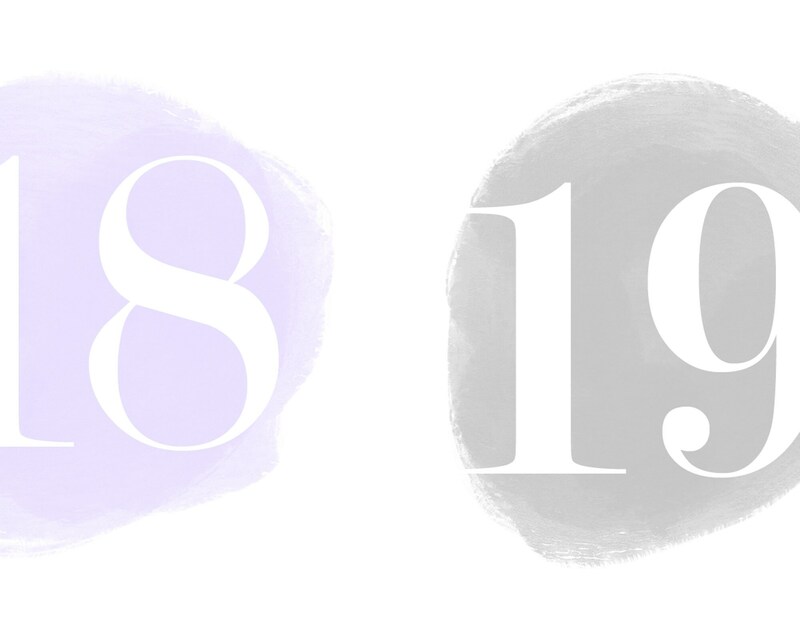 Colors include tints of lavender, aqua and grays. 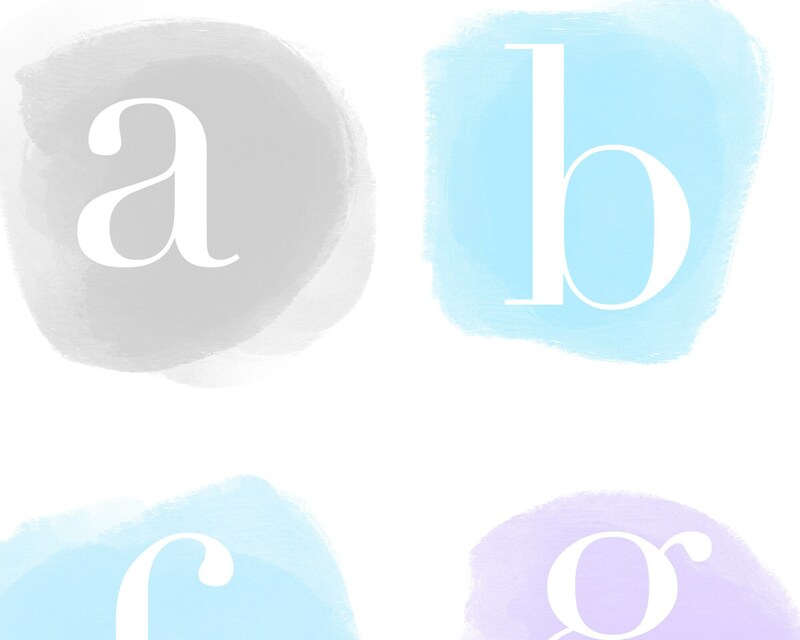 A pretty way to learn! 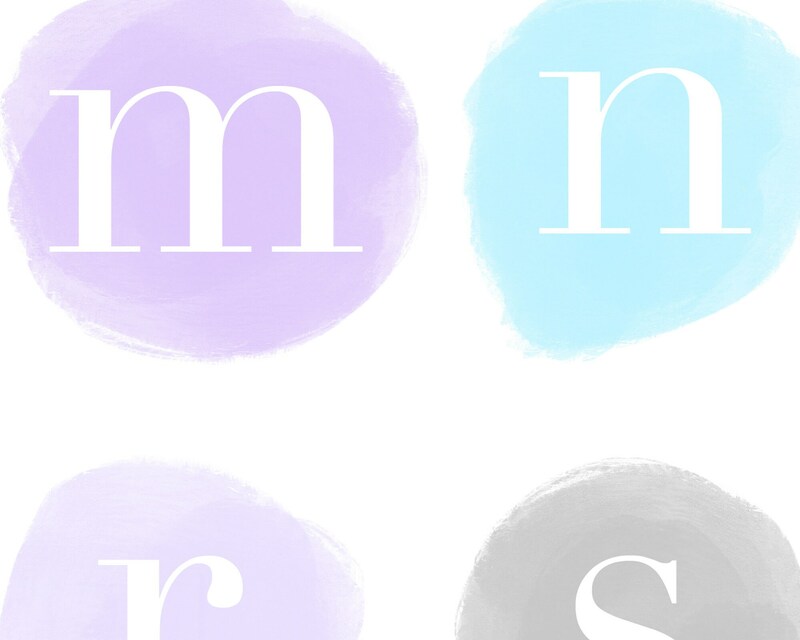 Be sure to measure your space to determine the most accurate scale.